When I was little, ‘scrapbooking’ meant getting together a whole lot of magazine and newspaper articles about a particular topic (in my case, it was the Royal Family) and pasting them in a large butcher’s paper book. These days, scrapbooking is a whole industry. 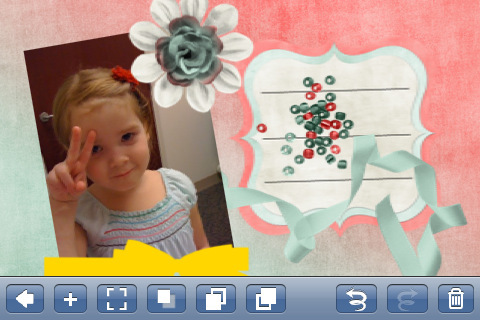 There’s an app for everything, so why not scrapbooking? 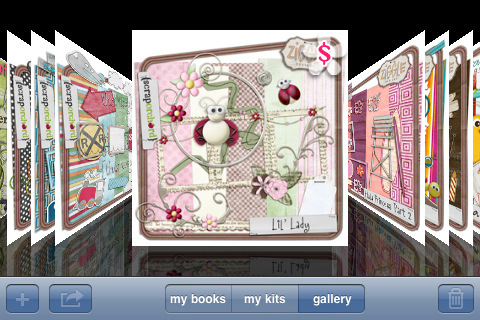 The eScrap app allows you to scrapbook on-the-go with your iPhone or iPad. Your photos are given the full album makeover with backgrounds, more than fifty pre-designed pages, elements (they’re the little embellishments and pictures), fonts and filters (shown below). You can then share your creations via email or your favourite social networking site. If eScrap is a little too ‘scrapbook-y’ for your taste check out the Coolibah app (shown at top and below). Coolibah comes with thirty design templates, many of which have a funky, seventies-style-swap-cards feel. Coolibah is free but be aware that the cost of that free fun is patience – it can take a little while to load. 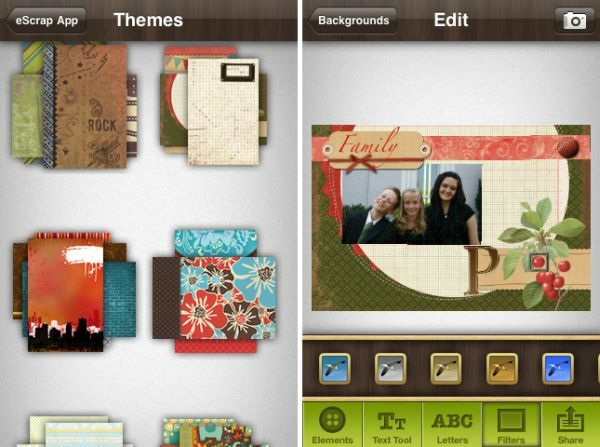 The eScrap app is available through iTunes for $2.49 and the Coolibah app is free – that’s probably the least expensive scrapbooking fun around!